I’ve been lucky enough to get hold of some Vivitar flashes. Two 285s and one 283. I bought them off a guy from work. They also come with a couple of optical sensors, which means I can now trigger four flashes using my two Phottix Strato II triggers. The other flash is my Nikon SB-900. 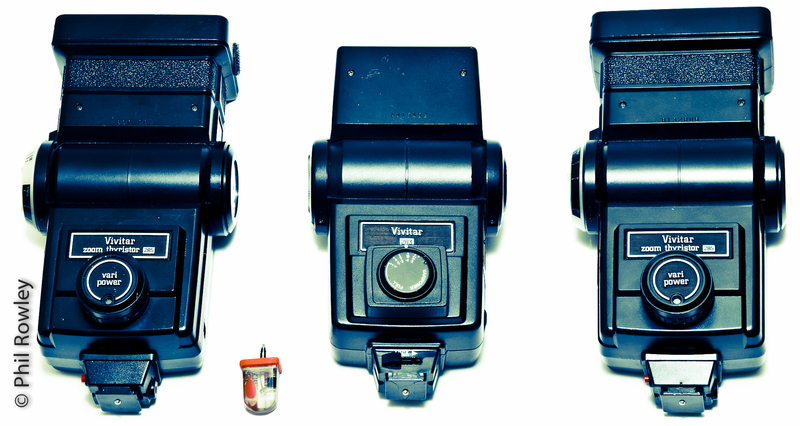 The Vivitar flashes are pretty basic, with 4 stop difference in flash power. However they are supposedly robust, so I will use them for outdoor shoots and see how they get on. Here’s a picture of them with one of the optical triggers.